General John Monash on display at museum. 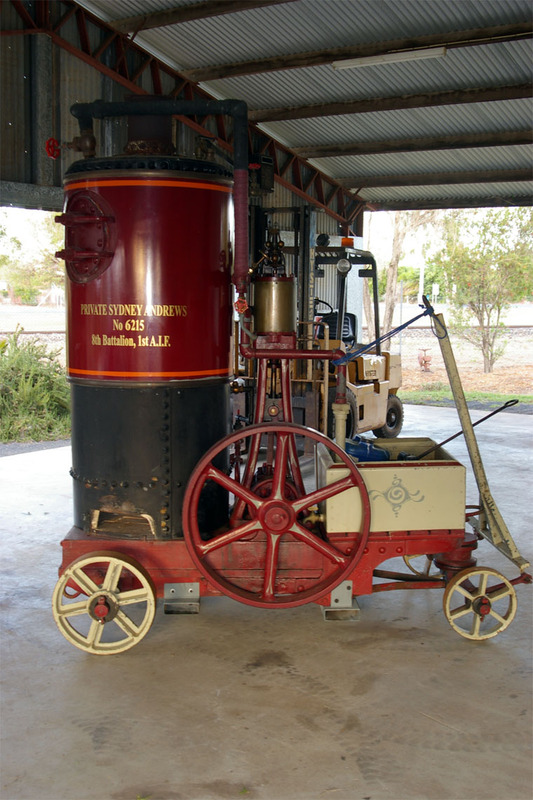 Built c1880-1900 by The Pratchitt Brothers Bore 5.5; Stroke 8.4hP. Capella Pioneer Village Museum Central Highlands region’s pastoral and agricultural history. This page was last edited on 15 October 2015, at 10:58.